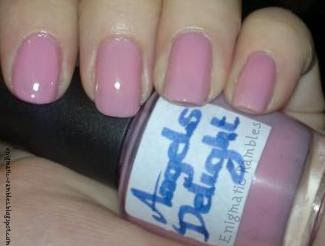 This is the first ever franken I made, its a sheer baby pink colour. I made it because I was doing some sort of nail art and I needed a base colour like this and I didn't have one. "Necessity is the mother of invention" - As someone once said, and I totally agree with that. It's gorgeous, it turned out so nice! It's hard to find really good baby pinks, I think anyway! This is really pretty. And looks good on you.